In the next two – three weeks I will become back a master in Python. This is the second book received from Apress for the last week and I would really do my best to write a good review of it. 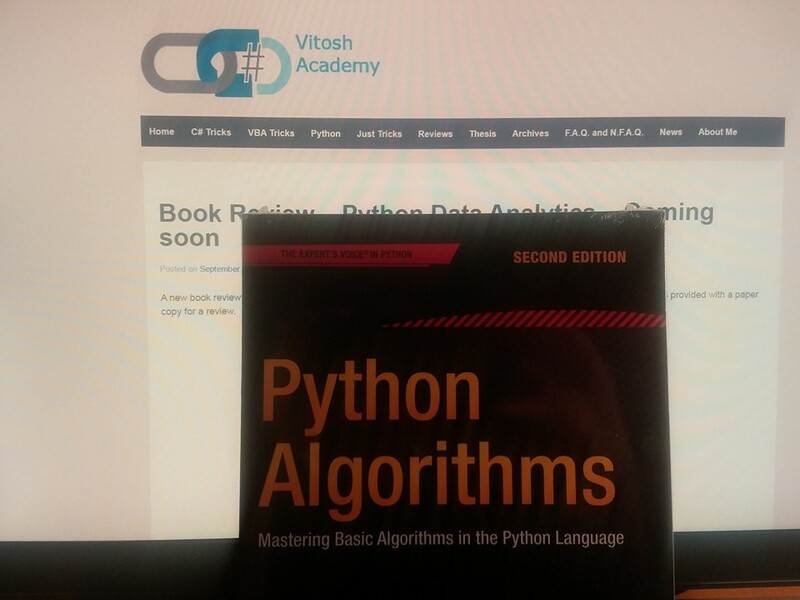 If you are looking already for some code with algorithms in python, take a look at the following link.